The post YIVO Typewriters appeared first on The Jewish Translator. The post Yiddish Book Center Typewriters appeared first on The Jewish Translator. 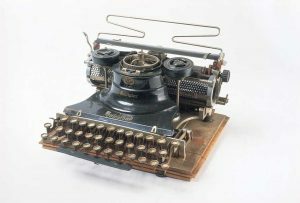 The post The Lost History of the Yiddish Typewriter appeared first on The Jewish Translator. I am fascinated with the Yiddish typewriter. 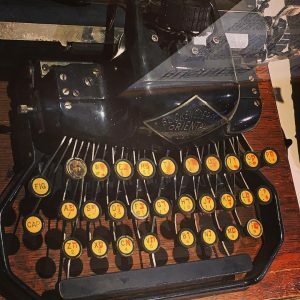 Finding a Yiddish typewriter is a bit like finding a whale at sea: though not exceedingly rare, you still write home about it. There is very little information on the Yiddish typewriter online as I write this. No Wikipedia article, no anything really, so I figure I will do my part to piece together the history. I will be updating this article, so if you have any information, please share! First off, the Yiddish typewriter is not the same as the Hebrew typewriter. 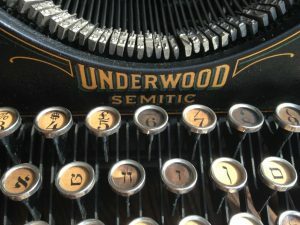 The Yiddish typewriter, like the language and culture at large, often finds itself in the shadow of its Hebrew brother, but there are significant differences. It is true that one technically does not need to have a Yiddish typewriter to write Yiddish and a Hebrew typewriter will suffice, but having a Yiddish typewriter prevented post-editing with a pen or pencil to add in certain accents. Once I startled compiling images I found of Yiddish typewriters online, I see that there were many typewriter companies that made a Yiddish version. The question is, were these special order, or were many of these made? The companies who made Yiddish typewriters included Remington, Underwood, Hammond, Royal, Mercedes, Corona, Olivetti, and Everest. 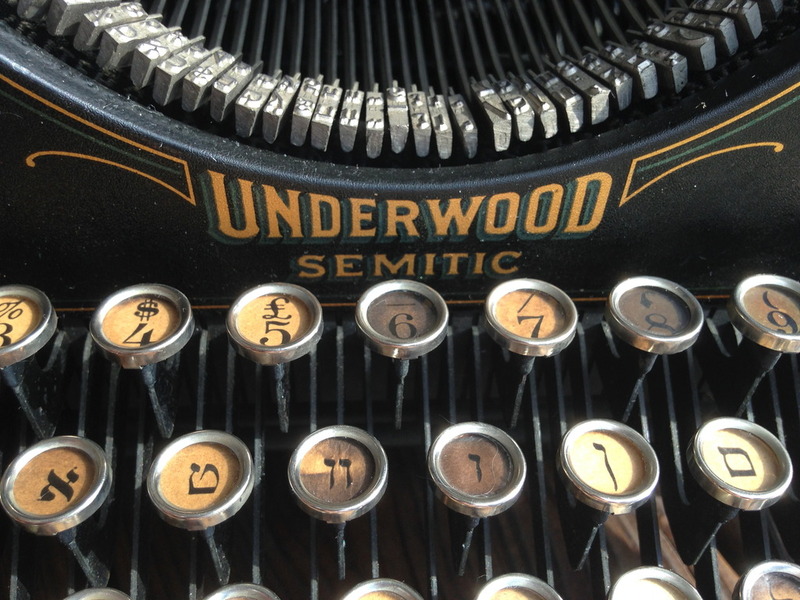 My favorite name for a Yiddish model is the “Underwood Semitic 46.”aImage credit Markotown, http://typewriter.boardhost.com/viewtopic.php?id=1685 Other dedicated Yiddish makes were the Corona 3 XC-R and Blickenderfer Oriental. Almost all of these models below were American made. 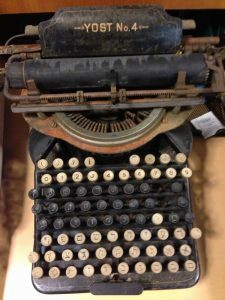 The heyday of the Yiddish typewriter was between 1910 and 1940 when Remington and Underwood seem to have been both the first and the largest manufacturers of Yiddish typewriters. Remington came out with a Yiddish typewriter in 1903 and Underwood in 1911.bTobias Jonas, Praktishe metode far der yidisher shrayb-mashin, 1929, p. 9. One reference states that a young Rabbi Barnett Brickner convinced Underwood to make its 1911 Yiddish typewriter. The earliest Yiddish typewriter I’ve seen is posted below, circa 1909. One can just imagine the impressive Yiddish literature written on these machines. The great Polish Yiddish writer Y. L. Peretz specifically requested a Remington Yiddish typewriter in 1907 and “had been wanting one for a long time.” The Nobel laureate Isaac Bashevis Singer typed his works on several different Yiddish typewriters over the years, the first was an Underwood bought in 1935.chttp://norman.hrc.utexas.edu/fasearch/findingAid.cfm?eadid=00354p1 The University of Oregon has a late example of a Yiddish typewriter made in 1961. But the last Yiddish Linotype machine used in the United States, weighing 4,500 pounds, set the type for the Jewish Daily Forward in New York until 1991. Keep reading below for more. What’s the Difference between a Yiddish and Hebrew Keyboard Layout? The English keyboard is known as the QWERTY keyboard for its arrangement of the letters at the top left. Using this same system, I will term the Yiddish keyboard the KORAT keyboard, distinguishable from a modern-day Hebrew layout, the KRAT keyboard. There is not a great deal of difference between the two keyboards. The key distinction is to look for the double letter combinations [װ] and [ײ] in the center. This clearly distinguishes a Yiddish keyboard. A third marker is the key [אָ] at top left, the “o” in KORAT. 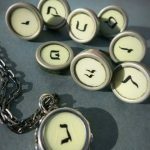 To get into the specifics about what makes a Yiddish keyboard layout, you first should know that Yiddish vowels are always written out as separate letters, where Hebrew does not need to do this and can simply write using consonants. Therefore, some vowels that you will see on a Yiddish keyboard will be the aleph with a kometz underneath: [אָ]. Again, this sound is the “o” in KORAT. Two other vowels, either “ey” (as in “ape”) or “ay” (as in “pie”) can be represented by putting two yud letters together: [ײ]. The first letter [אָ] would not have been made possible with only a Hebrew typewriter. The second letter combination [ײ] could have been made with a Hebrew typewriter by simply typing the yud-letter [י] twice. 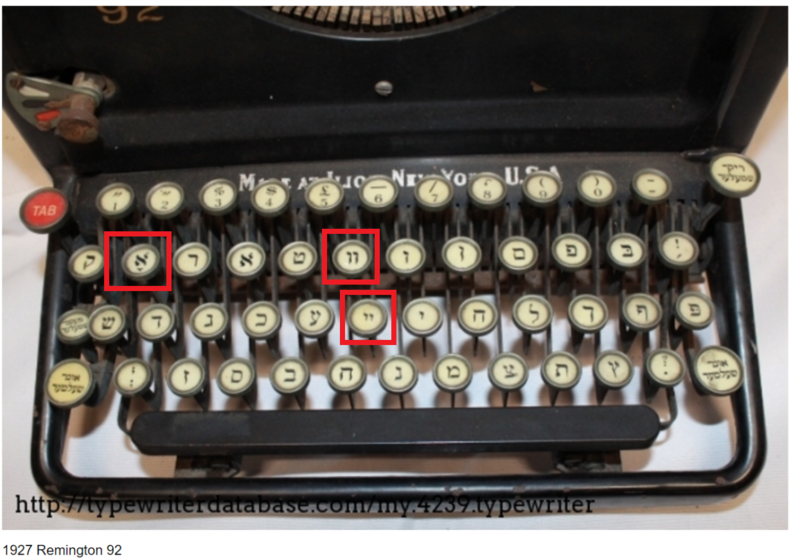 One last letter found on a Yiddish typewriter is a double-vav letter that makes a “v” sound: [װ]. This again can be made with a Hebrew typewriter by simply typing the vav letter [ו] twice in a row. if there are no double letter combinations, it still might be a typewriter meant for mainly Yiddish writing, if there is the vowel [אָ]. Some other distinctions are that a Yiddish typewriter might include a pe-letter with a dot in the middle [פּ] to distinguish it (p) from the pe-letter without a dot (f) [פ]. 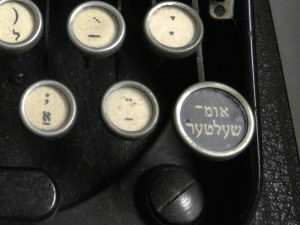 Some typewriters also includes a beit-letter with [בּ] and without a dot [ב] to distinguish (b) from a second (v)-sound option. Obviously, the carriage moves from right to left. 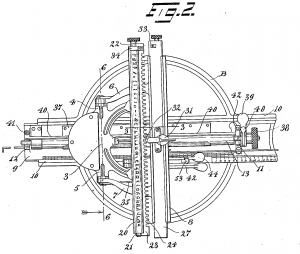 In 1914 Underwood patented a double English-“Hebrew” typewriter that enabled the user to type both languages on a single piece of paper on the same carriage. I have not found one of these in real life. 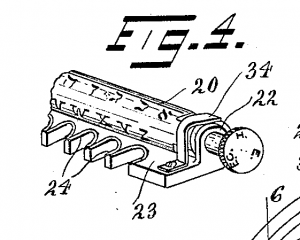 The few characters shown at left show this patent to be for a Yiddish KORAT typewriter and not a Hebrew KRAT keyboard. The characters also show how the keyboard layout was becoming standardized. Seemingly Underwood was adopting the KORAT layout that Remington had made earlier. Those familiar with typewriters will note that these typewriters DO have all of the numbers 0-9, including the number 1. On most pre-’60s typewriters, the number 1 was left out because the typist could simply type the lowercase letter “L” and have it serve as a 1. This is however not possibly with the Hebrew alphabet. Since there is not “L,” it was necessary to include 1 as a separate key. Shifting on Yiddish and Hebrew typewriters changes the font size! If one wanted to have a title in a different size, one simply uses the shift lock-key. It intrigues me that the choice was made for the shift to act in this way, instead of choosing to have fewer keys and have the shift put the various accents and/or print final characters instead. Nice bonus however. 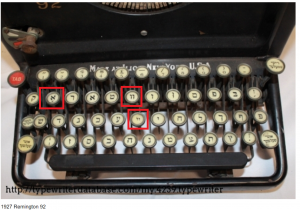 First Hebrew Typewriter? Moses Gaster’s 1898 Yost Typewriter. Based on my own research, I believe the world’s first-ever Hebrew typewriter is located at the New York University’s Kevorkian Center for Middle East Studies, possibly unknown to even them about its significance. 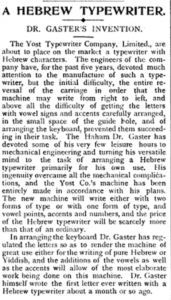 In February 1898, Yost Typewriter Company of London, under the advice of Chief Rabbi Dr. Moses Gaster, announced their Hebrew typewriter, which they advertised as being for both Hebrew vowelization and Yiddish. 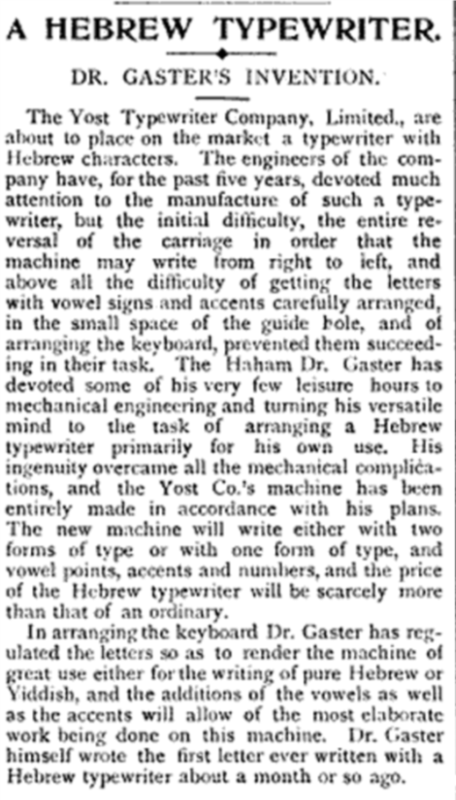 In an interview in 1901, Dr. Gaster gave his reasons for working on this “first of its kind” typewriter: “The reason which impelled me to devise such an instrument was my desire to foster the use of Hebrew as a living language. When we go back to our own land, Hebrew typewriters will come into everyday use. But they will be used much in the meanwhile, and they will be found most serviceable in copying Hebrew MSS. I get three simultaneous copies with great ease. At the present time I am copying on it an unknown part of the Chronicles of the famous Joseph Hakohen, from an autograph MS.”fIsrael: The Jewish Magazine 2, no. 14, April 1898, p. 40 In the picture taken at NYU, this Yost No. 4 was created both with standard Hebrew script (without vowels?) and a second option for the Hebrew script in so-called Rashi script, a cursive variety (shown in black keys). The letters are also arranged in a jumbled fashion not according to the alphabetical (aleph-beit) order, like QWERTY is to the English alphabet. This order was not preserved in the standard Hebrew keyboard of today. 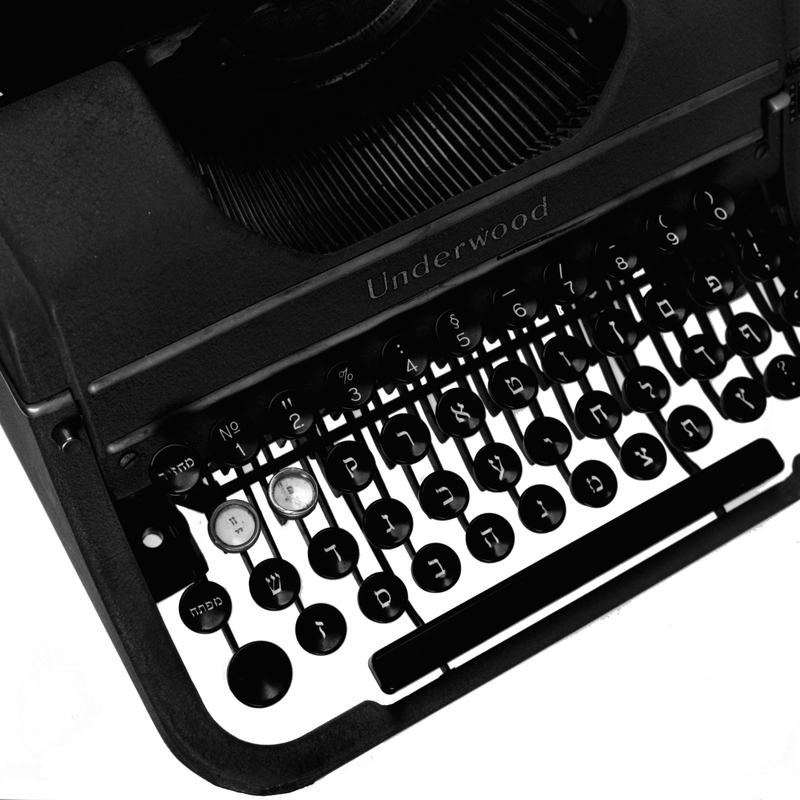 Robert Messenger writes about the history of the Hebrew typewriter after Gaster’s Yost No. 4. 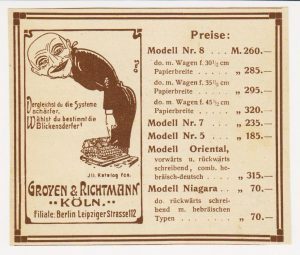 The 1907 Blickensderfer Oriental / Orient Model 8 was able to type both German and Hebrew on the same typewriter. The Blickensderfer Niagra was a cheaper version for only Hebrew. There is no kometz-aleph key to define this as a full-blown Yiddish typewriter. 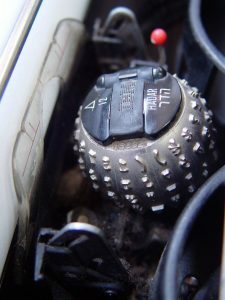 The kometz was a separate accent key. 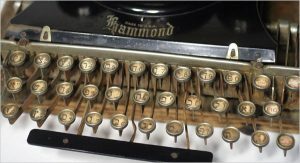 The 1920s Hammond typewriter offered a non-standard Yiddish typewriter, even though full Yiddish typewriters with Yiddish-specific characters had come out previously with Remington. Though there is no double-vav or double-yud character, there is a kometz-alef character [אָ]. It was advertised in 1922 as being for both vowelized Hebrew and Yiddish. 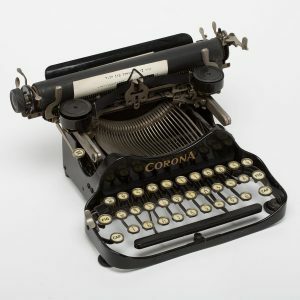 The folding Corona 3 XC-R typewriter, like the Hammond, has a non-standard Hebrew layout as established by this time by Remington and Underwood. The Yiddish playwright Abish Meisels and the journalist Morris Indritz used this model.gJewish Museum London, Spertus Institute in Chicago There are no double letters, but it does have the [אָ] key at top left like the Hammond above, making this too a Yiddish typewriter. This typewriter also has all of the diacritical vowelization marks for Hebrew, making it an all-purpose Yiddish or Hebrew typewriter. The model name XC-R dedicated to this Yiddish line refers to the carriage moving from right to left. What also makes this a Yiddish typewriter is that the parts peculiar to this model are distinguished by “Y” as a suffix to the part numbers, suggesting it was conceived of as a Yiddish (and not Hebrew) typewriter. Which came first, the Hebrew keyboard layout as we know it today or the Yiddish layout? It’s a bit of a chicken or egg scenario, but it seems the Yiddish typewriter layout was made first. 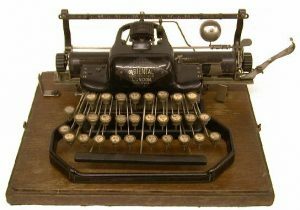 Even though the Hebrew typewriter was made first (for Moses Gaster’s Hebrew purposes), this did not have a standard keyboard layout as we know it today. Remington was the one who made their first Hebrew typewriter layout, but for Yiddish writers. This KORAT layout is the basis for the Hebrew KRAT layout in use today. 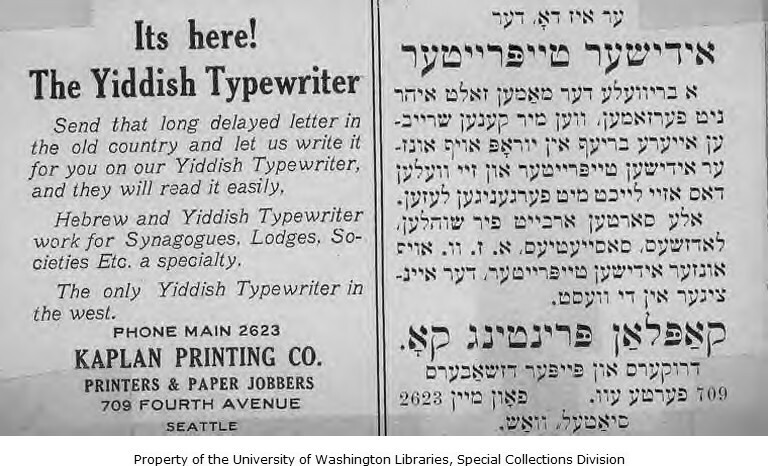 What makes researching the topic of early typewriters in the first decades of the 20th century difficult is that Yiddish wasn’t really widely known as “Yiddish” until the 1920s or 1930s. It was often referred to as “Hebrew” and sometimes with other names in English, like “Jargon.” So even though the Yiddish typewriter makers were making Yiddish typewriters, they referred to them as Hebrew, not making a distinction between the two. A clear example of this is a 1912 advertisement from a type slug foundry selling its Yiddish character set. It clearly labels it a “Hebrew typewriter,” but then provides a type sample in the Yiddish language. 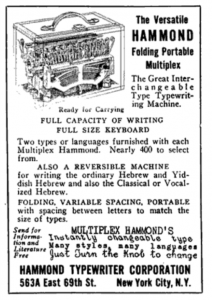 The only Yiddish typewriters available in 1912 would have been Remington and Underwood, but this type slug maker was hoping to find more customers. The pictures above of the earliest Remington typewriters show them all to have the Yiddish characters on them. Even in 1914, when Underwood made its double “Hebrew”-English typewriter on the patent above, it had the Yiddish letters on it. I would be curious to know what was the first Hebrew typewriter to EXCLUDE the Yiddish characters from the standardized Yiddish keyboard layout. 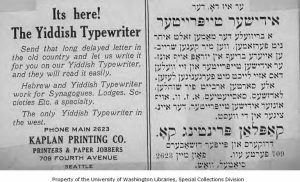 Around 1930 seems to be the peak production of Yiddish typewriters and innovations. Two points to be mentioned in the context of the sophistication in Yiddish typewriter usage are 1) alternative keyboard layouts and 2) shorthand. 1) Alternative layouts. Every language has its standard keyboard and then its detractors. In English, there is the QWERTY and the Dvorak layouts. 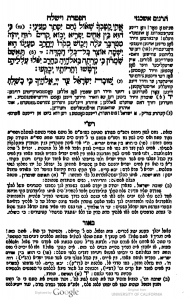 Yiddish too had the Jonas layout from 1929. Tobias Jonas designed a layout, commissioned both Remington and Underwood to make his typewriters, and then wrote a manual to learn touch-typing with his layout. 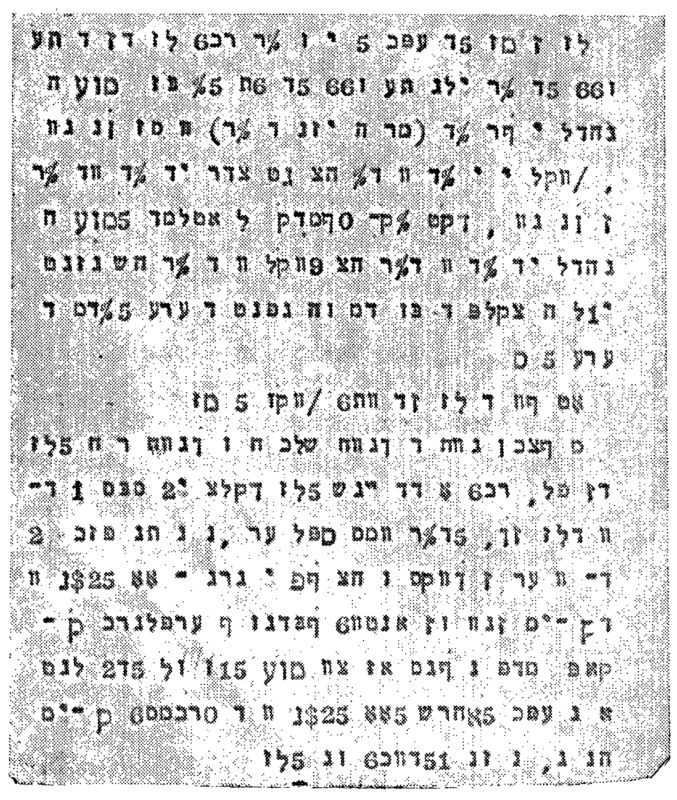 Unfortunately, this is the only Yiddish manual for learning how to type, but it uses the non-standard Jonas layout.lTobias Jonas, Praktishe metode far der yidisher shrayb-mashin, 1929, p. 9. 2) Shorthand. Yiddish even had its own shorthand system developed! 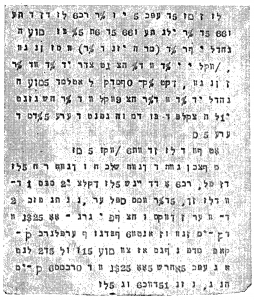 Below is a sample from a 1934 article advocating typewritten Yiddish shorthand. The first line of the sample typed on an Underwood reads: “Leninism is Marxism from the era of Imperalism and proletariat revolution. More correct: Leninism–that is the theory….” (What else would you expect to be written on a Yiddish typewriter?!) In English, some 101 characters. In Yiddish shorthand, only 25.mN. 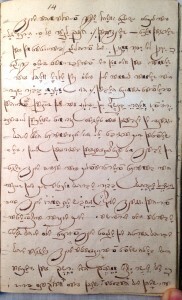 Shatski, “Stenotipie: Kurtsshrift af der shraybmashinke” in Afn visnshaftlekhn front 5 and 6 (Minsk 1934), 127-138. 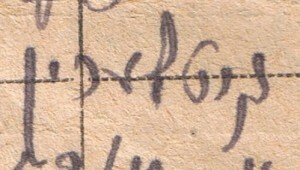 The same article has an example of Yiddish shorthand written by hand. 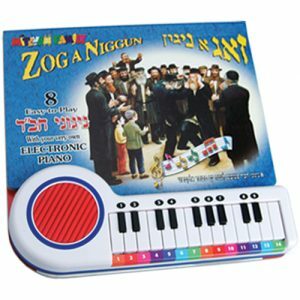 Today, Yiddish can be written on a computer keyboard using different programs in addition to your operating system’s keyboard settings. Tavultesoft Keyman Desktop offers Yiddish as one of their languages, which is what I use on my PC. A website titled “The Yiddish Typewriter” allows one to write Yiddish in phonetic English and it gives you the corresponding Hebrew characters. And in case you’re wondering where Yiddish typewriters go to die, you can see this image of a Yiddish typewriter that was chopped up to sell for jewelry. How do you say typewriter in Yiddish? In standardized Yiddish today, you find the word shraybmashin שרײַבמאַשין or (with a hyphen) שרײַב־מאַשין, based on the German Schreibmaschine. In the early twentieth century though, the English word tayprayter טײפרײטער or (with a hyphen) tayp-rayter טײפ־רײטער was used. This word made its way into the works of the American Yiddish authors Jacob Gordin and Morris Rosenfeld. Jacob Gordin refers to one of his characters as a tayprayter-meydel טײפּרײטער־מײדל, a typewriter girl (typist). A 1929 manual for Yiddish typewriters from New York used both the word shrayb-mashin in its main title and tayprayter in its subtitle.oBased on the examples I saw, “to write something with a typewriter” is “epes shraybn af a shraybmashin.” “Es iz tsugeshribn gevorn af a shraybmashin” (It was written on a typewriter) and “a shraybmashin-kopie fun … artikel” (a typewritten copy of … article). 1911 ad for Remington Junior. Price $50. Expect to pay between 200 and 400 dollars for a Yiddish typewriter online. 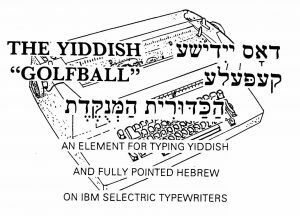 I have been tracking the market on Yiddish typewriters since 2016, and I have found about five put on sale per year. In general, portable typewriters sell on the lesser end of this estimate than a standard typewriter. Only one typewriter went for well above this rate ($900), a custom standard typewriter made with full diacritics. 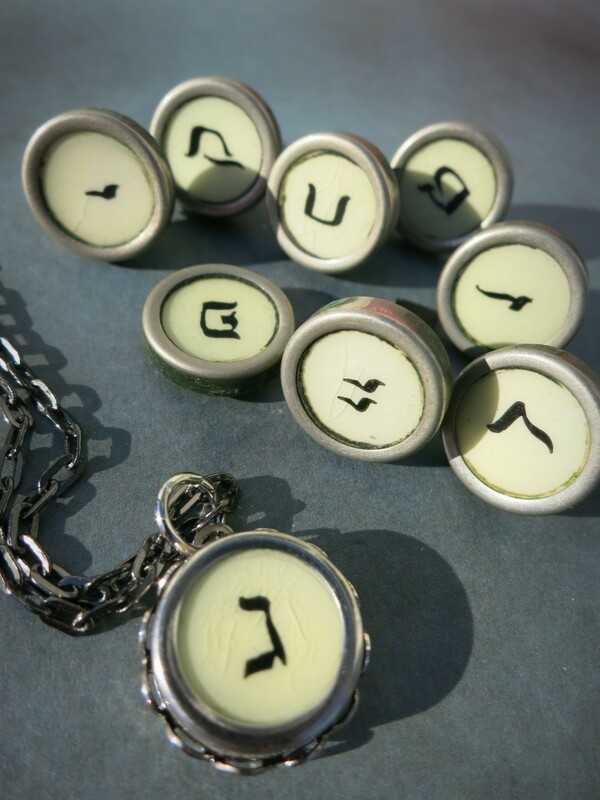 Keep your eyes peeled for those double letters though, because Yiddish typewriters are often sold as “Hebrew typewriters.” Set “yiddish typewriter” as a saved/followed search on Ebay, and you will receive an e-mail when someone posts an item that matches that criteria. I would suggest also saving “hebrew typewriter” in order to catch those Yiddish typewriters in disguise. b. ↑ Tobias Jonas, Praktishe metode far der yidisher shrayb-mashin, 1929, p. 9. One reference states that a young Rabbi Barnett Brickner convinced Underwood to make its 1911 Yiddish typewriter. h. ↑ JTA Daily News Bulletin 13, No. 292, 23 December 1946, p. 4. http://www.jta.org/1946/12/23/archive/hold-funeral-services-for-jacob-fishman-zionist-leader-and-ex-jewish-journal-editor. See also https://books.google.com/books?id=Q8QMAQAAMAAJ&q=yiddish+typewriter&dq=yiddish+typewriter&hl=en&sa=X&ved=0ahUKEwjS76Px3PzPAhVJVD4KHTW1BAAQ6AEIPjAI. l. ↑ Tobias Jonas, Praktishe metode far der yidisher shrayb-mashin, 1929, p. 9.
m. ↑ N. Shatski, “Stenotipie: Kurtsshrift af der shraybmashinke” in Afn visnshaftlekhn front 5 and 6 (Minsk 1934), 127-138. 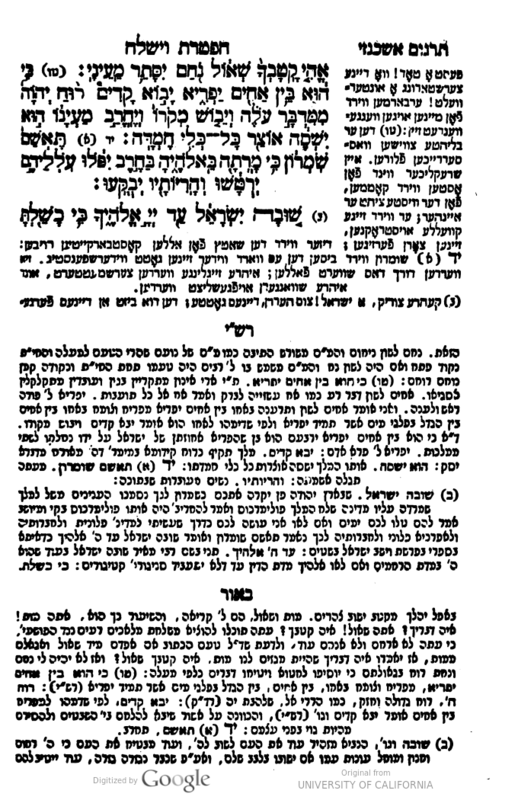 The same article has an example of Yiddish shorthand written by hand. n. ↑ AJR Information 38, no. 9, September 1983, p. 4.
o. ↑ Based on the examples I saw, “to write something with a typewriter” is “epes shraybn af a shraybmashin.” “Es iz tsugeshribn gevorn af a shraybmashin” (It was written on a typewriter) and “a shraybmashin-kopie fun … artikel” (a typewritten copy of … article). The post Letters from the Old Country: Concentration Camp 1942 appeared first on The Jewish Translator. This week, I translated these postcards (in German) for a client. They come from a concentration camp in France in 1942. The newly interned author writes desperately to family to send him supplies. Doing research on this Camp de Rivesaltes, this first postcard was written a day after Jews in southern France were collected there. The camp was emptied off to Auschwitz by November. Click on the postcards to see the full image. It would be nice if you would send my watch here certified mail. In case it has to come back. 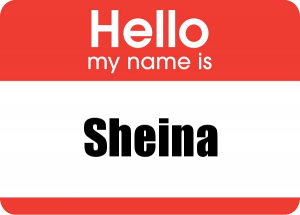 The post How to spell Yiddish names appeared first on The Jewish Translator. “You’re going to have two options: נעכע or נעכא. The post Not in the dictionary: Yiddish words and abbreviations appeared first on The Jewish Translator. This page is an appeal to expand the most comprehensive Yiddish-English dictionary to date by Beinfeld/Bochner/Niborski/Vaisbrot. As a Yiddish translator, I find words, variant definitions of existing words, and many abbreviations that are simply not in the dictionary. I have started compiling a list, which I would gladly see incorporated in the dictionary’s second edition. I will attempt to systematically show my proof for the given definitions, using examples from original written Yiddish samples. At the same time, I have not chosen to add non-YIVO standard spelling, or German/English words simply written in Hebrew letters. The following are words that I believe truly should be new entries in the standard Yiddish dictionary. The notes refer to letters I have on hand with the usage. If you want a copy for a particular word in its original context, I can send it to you. Let me know what words you haven’t been able to find using the comment feature below! 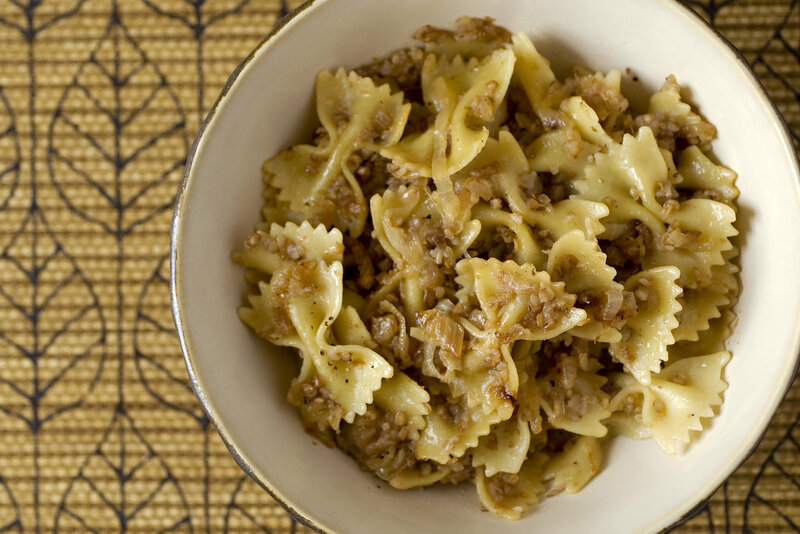 It’s a commandment to get drunk on Purim. באַהיטע גאָט – bahite got! 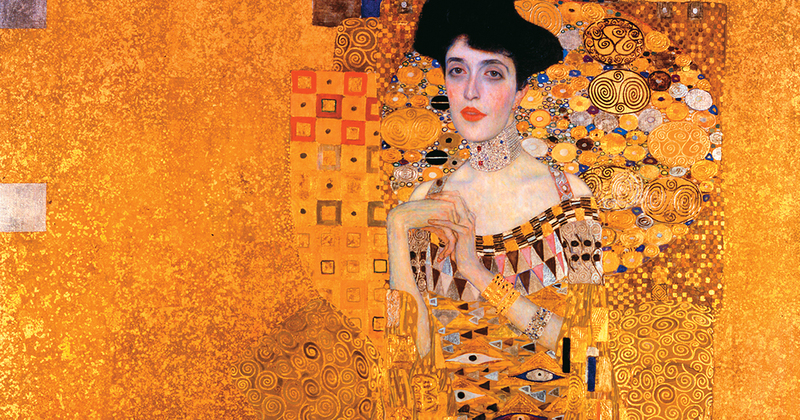 Gustav Klimt’s Adele Bloch-Bauer. A yekete if there ever was one. 1. What is your source? Where are you getting this from? This section is for additional abbreviations that I’ve seen in handwritten Yiddish letters but which are Hebrew abbreviations. These are also not listed in the dictionary. 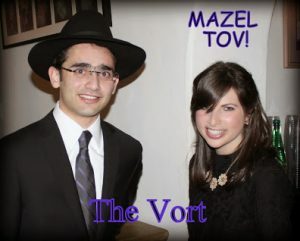 Hashem alehem yichyu – God be with them, they should live long. Let me know your thoughts using the comment feature below! What words haven’t you been able to find? Can you correct something I wrote? 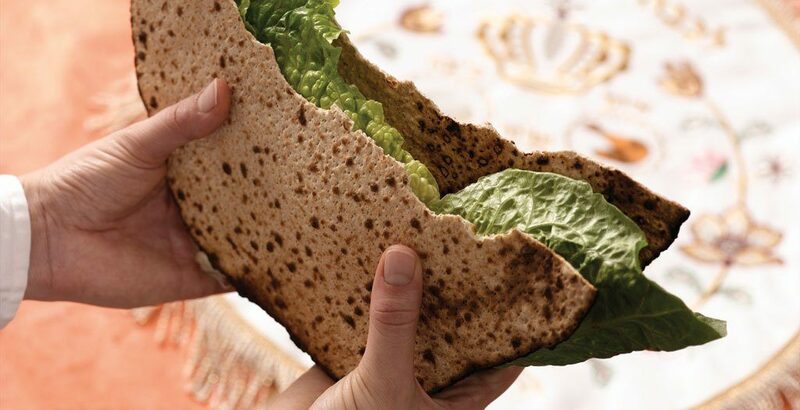 The post The Four Questions in Yiddish (Passover) appeared first on The Jewish Translator. In talking with others about the Four Questions, I realized that there are several versions of this Passover song in Yiddish. This inquiry started with the word “ongeshpart” (leaning), which I had heard from this song, while others had heard “ongeleynt.” I have bolded this distinction in how to say “either sitting or leaning” below for a quick reference of one difference between them. Sheb’chol haleylos eyn anu matbilin afilu pa’am echas, halayla hazeh sh’tey p’amim? 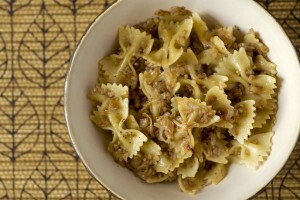 Sheb’chol haleylos anu ochlin chameytz oy matzah, halayla hazeh kulo matzah? Sheb’chol haleylos anu ochlin sh’ar yerakos, halayla hazeh maror? 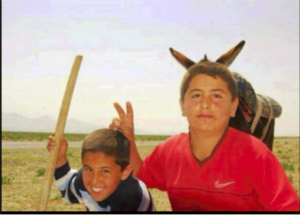 Sheb’chol haleylos onu ochlin beyn yoshvin uveyn m’subin, halayla hazeh kulanu m’subin? vos iz andersh di nakht fun Pesakh fun a’le a’nde’re nekht fun a gants yor? שבּכל הלילות אנו אוכלין חמץ או מצה. 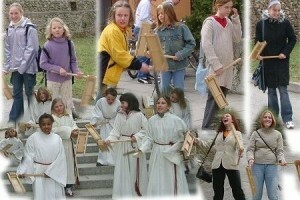 un eyn mol morer in kharoyses. and again maror (bitter herb) in charoses. we sit either straight or leaning backward to the side. 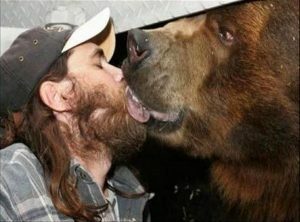 Pesakh kulonu mesubin, e’sn mir nor ungelent. yetst bet ikh dikh entfer mir a te’rets. טאטע לעבן: איך וויל דיך פיר קשיות פרעגן. מה נשתנה – פארוואס איז פארענדערט גווארן. הלילה הזה – די נאכט פון פסח. מכל הלילות – פון אלע אנדערע נעכט פון א גאנץ יאר. שבכל הלילות – אלע אנדערע נעכט פון א גאנץ יאר. אנו אוכלים – עסן מיר. חמץ ומצה – אויב מיר ווילן עסן מיר חמץ, און אויב מיר ווילן עסן מיר מצה. אבער הלילה הזה -די נאכט פון פסח. מצה – עסן מיר אלע נאר מצה. שאר ירקות – פארשידענע גרינצייגן. אבער הלילה הזה – די נאכט פון פסח. מרור – איז א מצוה צו עסן מרור. אין אנו מטבילים – טינקען מיר נישט איין. אפילו פעם אחת – אפילו איינמאל אויך נישט. שתי פעמים – טינקען מיר איין צוויי מאל, איינמאל כרפס אין זאלץ וואסער און איינמאל מרור אין חרוסת. בין יושבים – סיי זיצענדיג. (ובין מסובים – און סיי אנגלאנט (אנגעשפארט. כלנו מסובים – עסן מיר אלע אנגעלאנט. טאטע לעבן: כ’האב דיר געפרעגט פיר קשיות זיי מוחל ענטפער מיר א תירוץ. far vos iz di nakht fun peysekh andersh fun ale nekht fun a gants yor? far vos ale nakht fun a gants yor, az mir viln, esn mir khomets, un az mir viln, esn mir matse, ober di nakht fun peysekh esn mir nor matse? far vos ale nakht fun a gants yor, az mir viln, esn mir bitere grinsn, un az mir viln esn mir zise grinsn, ober di nakht fun peysekh esn mir nor bitere grinsn? far vos ale nakht fun a gants yor, tunken mir eyn mol oykh nit ayn, ober di nakht fun peysekh tunken mir ayn tsvey mol — eyn mol grins in zalts vaser, un dos tsveyte mol khreyn in kharoyses? far vos ale nakht fun a gants yor az mir viln esn mir zitsndik, un az mir viln esn mir ongeshpart, ober di nakht fun peysekh esn mir ale ongeshpart? The post Various Yiddish Types: Judeo-German appeared first on The Jewish Translator. 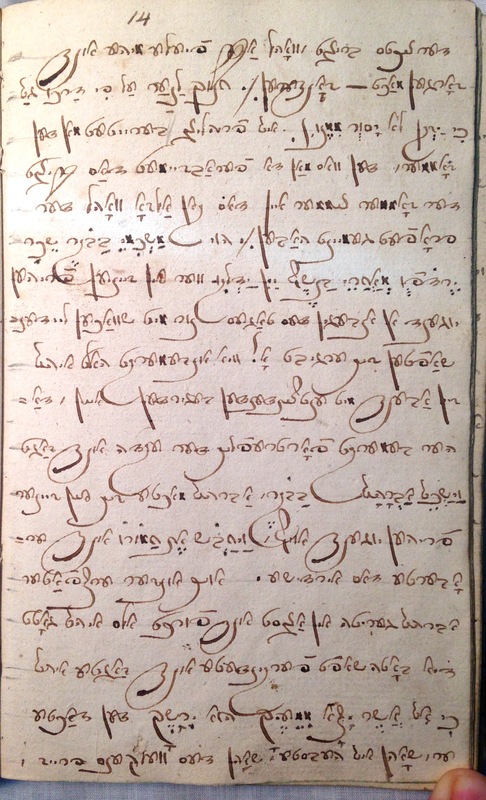 This past week, a client asked me to translate a Yiddish journal written in Hungary from the 1840s. 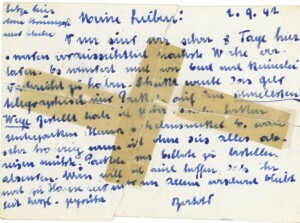 The journal turned out not to be written in Yiddish, but in German in Hebrew characters. Moses Mendelssohn was famous for doing this in the late 1700s with his German Bible translation in Hebrew letters. In the image at right, Mendelssohn’s German translation appears under the header “Targum Ashkenaz.” This is also known as Judeo-German. Yiddish speakers today, trained at YIVO, often cry “Daytshmerish!” when they hear Germanized Yiddish, or the use of an out-of-bounds German word. 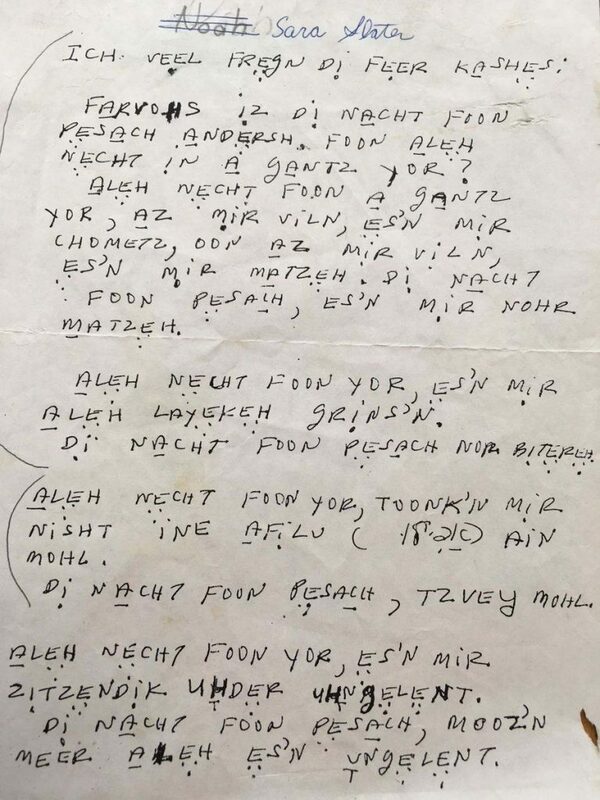 This distinction between “daytshmerish” and “correct” Yiddish usage came out of early twentieth-century Jewish nationalist politics and the desire to create a respectable, self-aware Yiddish language out of the shadow of its German father. Employing the term “daytshmerish” signals that a person should use a word with a Hebrew or Slavic root instead. (In the Chassidic community today, such distinctions are not made, and their Yiddish does have more similarities to German than YIVO klal Yiddish.) But this distinction between a German-infused Yiddish (daytshmerish) and standard Yiddish is simply a question of word choice. There are other factors involved than simply word choice when it comes to true German written in Hebrew chracters. Knowing the difference between Judeo-German and Yiddish can also better refine answers to the question, what is the difference between German and Yiddish? How can you tell the difference between German in Hebrew characters and Yiddish? 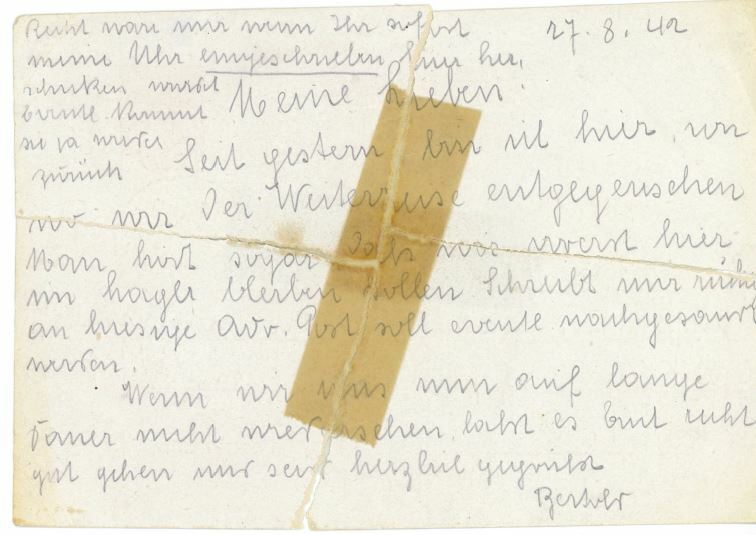 When a Jewish writer of German wanted to distinguish his writing from Yiddish, he avoided any Hebraicisms to stick to only the German elements of Yiddish. At no time does the author use a Hebrew word (which Yiddish commonly does), except when referencing a word in the original verse from the Torah. 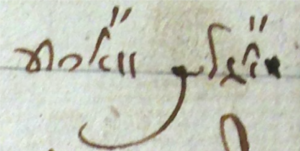 In this sample for example, the author even ended his Torah commentary with the word, “Amen,” but chose to spell it according to this four-letter Latinized spelling, rather than the Hebrew three-letter word. Thus he wrote: אמען instead of אמן. This signals to the reader that author is not writing Hebrew or Yiddish, but German. The verb order and word choice between German and Yiddish is different. Among the Germanic languages, German is one of the languages that places verbs at the end of subordinate clauses (VF) rather than in second position (V2). English and Yiddish, as two other example Germanic languages, regularly keep the verb towards the beginning of the sentence, usually in the second position (SVO). Ex. “I don’t know, why I like to eat broccoli.” In both clauses here, the verbs “do” and “like” are toward the beginning of their respective clauses. This verb order holds true for Yiddish as well: “Ikh veys nisht, far vos ikh hob brokoli azoy lib” (איך װײס נישט, פֿאַר װאָס איך האָב בראַקאַלי אַזױ ליב). But in German, the verbs in the second clause here get bunted to the end, so that it reads: “I don’t know, why I broccoli to eat like” (Ich weiß nicht, warum ich Brokkoli gern esse). This is pretty much a dead giveaway that a text is German and not Yiddish. 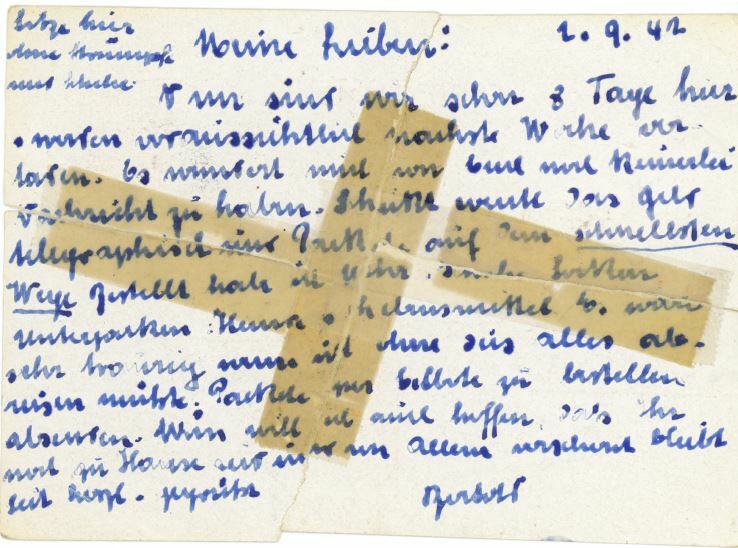 I am not sure how common this is, as this was the first handwritten sample of this that I had seen, but this writer included an umlaut over an aleph to symbolize the German letters ö and ä. Two examples of this are found next to each other: The umlaut ends up looking like quotation marks (or double apostrophes). 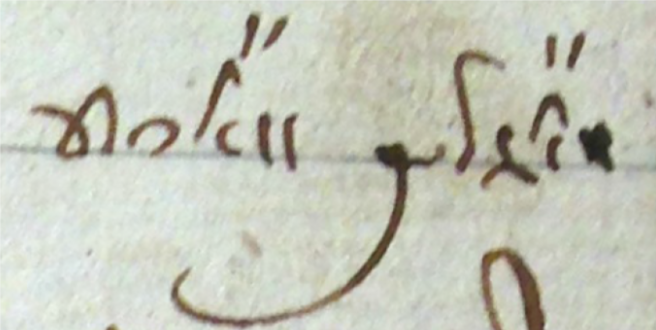 Here, the author writes the German möglich wäre (would be possible) in Hebrew letters, and twice uses an umlaut above the aleph to symbolize the ö and ä in those words. In contrast, Moses Mendelssohn’s German translation of the Bible did not do this. As always, an experienced Yiddish translator can provide a professional translation. Let my polyglot expertise help you in translating your family’s documents–Yiddish, German or Hebrew. Please contact me for a translation inquiry, or leave a comment below about information on this page. 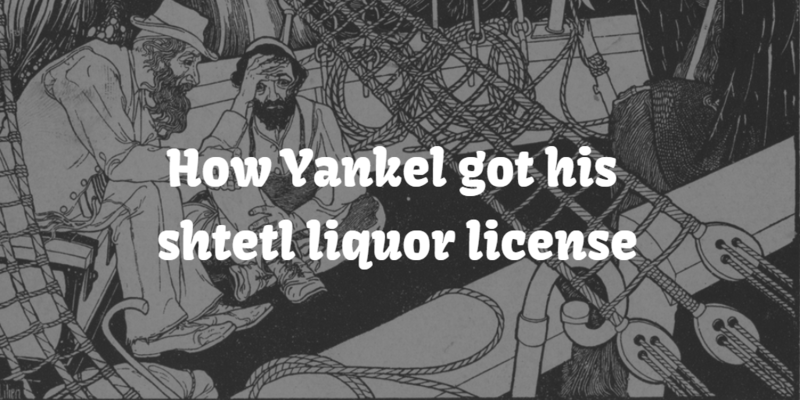 The post How Yankel got his shtetl liquor license appeared first on The Jewish Translator. Booze and Jews! Rags to riches! War! What else could you ask for in a story? This story comes via a translation I just finished for a client. They had a copy of this newspaper article in the family, but lost it. They found it again recently online through a digitized database of Yiddish newspapers. All he knew about his great-great-grandfather was something about a ferry. I found this translation job to be quite intriguing. Enjoy the read! Linguistically, the article is interesting for its use of Yiddish sarcasm (you have to catch it). Kith and kin in Mosty know old Yankel Boyarsky; but if you go there and ask for him by his name, “Yankel Boyarsky,” barely anyone will be able to give an answer, because in Mosty almost everyone only knows him by the name “Yankel the ferryman”; a name he has earned after years of transporting passengers and drivers on a big wooden ferry over the Neman, which flows through many a town. 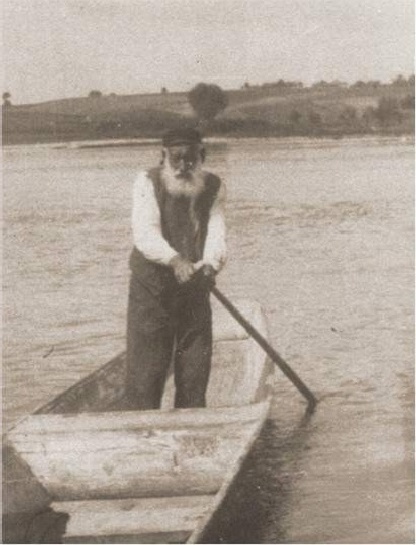 And something recently happened to this old “Yankel the ferryman” that is now a sensation in Mosty and in all the surrounding towns. The story goes like this: In 1920, during the Polish-Bolshevik war, there was a bloody battle in Mosty between the Polish military and the Bolsheviks. 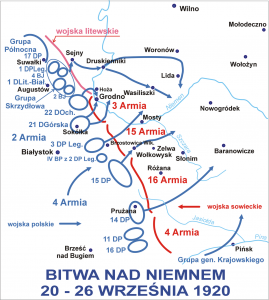 The Polish soldiers, because they were being overtaken by the enemy, were forced to retreat, and one unit consisting of a captain and ten soldiers became separated from their regiment at night and stayed in Mosty; as the Bolsheviks were already very close, the Polish unit was only able to save itself by boating over to the other side of the Neman in order to regroup there with the other soldiers. But how to get over to the other side when it is dark all around, you do not see a living soul (because all of the residents were hiding in their basements), and the ferry that is there does not have a rope so it is impossible to use. The Polish unit knocked on a nearby house and knew that the only one who could come to their aid was old Yankel the ferryman. The soldiers went straight for him, and although shots could be heard from the Bolsheviks nearby, nevertheless old Yankel, risking his life, transported the Poles to the other side, and it turned out that they were saved from falling into the Bolsheviks’ hands. 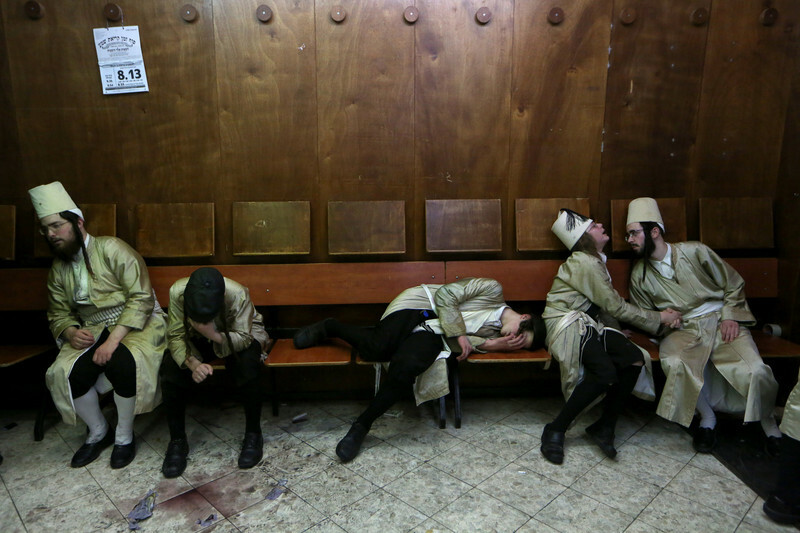 It was 8 years since those events and the entire story had faded from old Yankel’s memory. We come to the events several weeks ago when a monument was set up in Mosty for all of those who had fallen there in the battles of 1920. Many high-ranking military came to the ceremony, and the old ferryman ferried them over to the other side of the Neman. Yankel, a real expert in Polish, nodded his head and the officer went to his friends. Several weeks went by when suddenly on the Sabbath, the 10th of November, on the eve of the anniversary of Poland’s liberation, Yankel Boyarsky received an official telegram inviting him to come to Warsaw immediately and contact the office of the War Ministry. Old Yankel, who had understood very little of the officer’s speech or about what he wanted from him, ran, in shock, over to the rabbi asking for advice about what to do because never in his life had he gone farther than twenty kilometers outside of Mosty, so such a long trip was very daunting. But when you ask for help, you get what you ask for — the rabbi felt sorry for the old man and agreed to accompany him to Warsaw. But how great was the old man’s surprise when he saw the same officer at the War Ministry as before, and the officer asked him what sort of reward he wants for the assistance that he provided in a time of war to the Polish military unit. Yankel stammered that he would be happy with anything that he would be willing to give, and the officer then gave him a a lifelong liquor permit without having to pay any taxes. The old man did not believe his eyes and only when he went with the rabbi to a lawyer and he translated the permit to them, did he understand the fortune that he had come into. Full of joy, Yankel came back home to Mosty, thanking the Lord for the great kindess that the noble Polish officer had shown him. Contact me if you need a Yiddish newspaper article translated. The post Things you thought were Jewish appeared first on The Jewish Translator. Latkes, groggers, and braided challah, what could be more Jewish than that? Get ready to have your mind blown. When I was an exchange student in Germany living with a host family, I was honestly shocked to have latkes served to me one day for dinner. Not only was I served latkes, but they were served with applesauce. My German-Polish host mother had never heard of latkes, and she just called them Kartoffelpuffer. For her, it was just dinner. 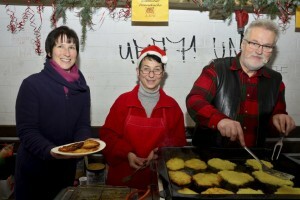 Even worse, years later I was walking through one of the many Christmas Markets in Berlin and saw a stand for these Kartoffelpuffer. There they had two options for toppings–sour cream or applesauce. At a Christmas Market! That’s when I knew that the Jews just took this idea for themselves at the closest holiday, Channukah. My über-Austrian friend was going over her village’s Easter traditions and told me that the week before Easter, one of the activities is that the children go around making noise with their wooden Ratschen, and the adults give them money. Now, a noisemaking device in and of itself wouldn’t be that surprising in another culture, except this wooden noisemaker is used at the same time of year as Purim (Easter’s in the springtime), as part of their religious festivities. Another German friend was talking to me about the Kosher-style bakery in town and how she loves the challah. It reminded her of the Osterbrot they had for Easter. As she was explaining to me about braided Osterbrot, I looked it up online and there are different types, including a variant of our egg challah and a circular sweet bread with raisins (think Rosh Hashanah!). Again, braided bread by itself wouldn’t be so special, but it’s the association specifically with a religious holiday that leads me to believe that the Jews have just made it their own. Various names for this challah: Osterzopf, Osterbrot, Osterpinze. Challah with Easter eggs, anyone? On Purim, my kids in their costumes are going to start walking around threatening the neighbors if they don’t give them candy. 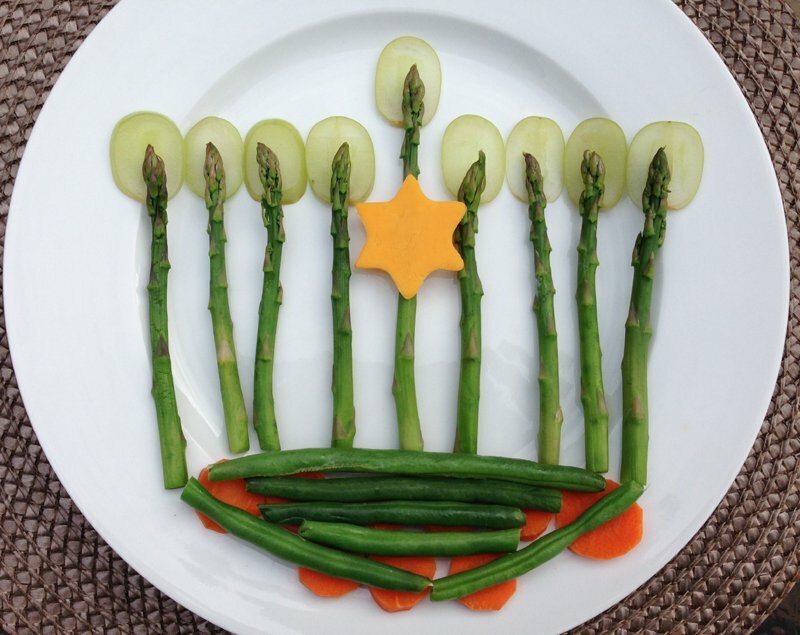 For Lag B’Omer, let’s add fireworks to the bonfire celebrations. On Simchas Torah, we’ll take the drinking festivities onto the rooftops and throw beads.